9-Yr-Old Boy Finds Disabled Kitten & Builds Tiny Wheelchair So She Can Walk. 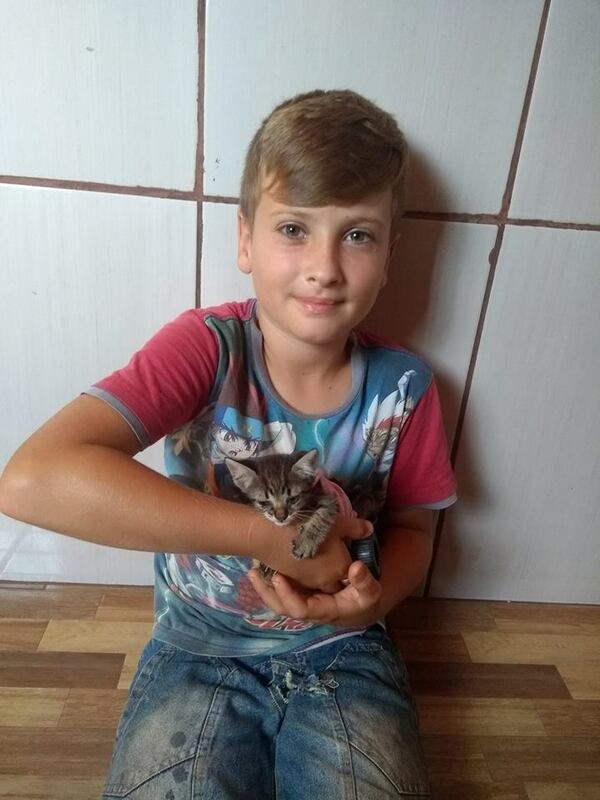 Immanuel Kant said, “We can judge the heart of a man by his treatment of animals.” If that’s true, we know for sure that nine-year-old João, a little boy from Paraná, Brazil, will grow up to be one of the most compassionate, kindhearted men around. Rogéria Bello Corazza, João’s mom, says she’s proud of all her children, but that she’s particularly astonished by what João did for a tiny critter in need. He recently visited a neighbor’s house, where a litter of kittens had been born a few weeks earlier. Being the animal lover he is, João’s main reason for going was to see the little darlings. When he got there, though, he noticed one of them struggling. The poor thing was suffering from some kind of disability that prevented her from walking. 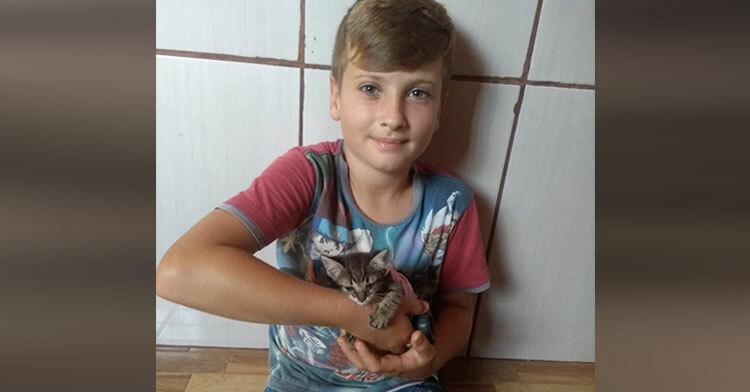 “He was very sad to see the other kittens playing, and that she could not play,” Rogéria wrote online. That’s when João came up with a brilliant idea and got to work. With the help of a friend who lent some materials, the boy started building a kitten-sized wheelchair… and it turned out to be the perfect fit. “She was walking in just a few minutes,” Rogéria said, adding that seeing her son’s happiness at being able to help was the best part. 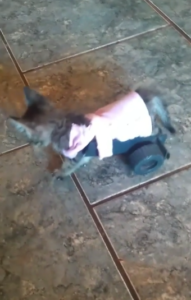 She recorded as the kitten took her first hesitant steps, realizing she could finally walk. The heartwarming video was uploaded to Facebook, where it quickly got millions of views. Now thousands of people wrote comments praising João for his kindness towards animals. “Blessings for that child with a heart of gold that beautiful,” one commenter wrote. 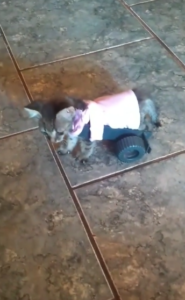 Watch as the kitten tries out her adorable new wheelchair in the clip below, and share to spread thanks for this act of kindness.